Home Opinion Palestinian-Israeli Conflict: Will it End? Palestinian-Israeli Conflict: Will it End? Discussing or discussing the conflict between the Palestinian Nation and the Zionist Israel will never expire decades ago. Various Pro and Contra statements from various world leaders colored the discussion or discussion about the conflict between Palestine and Israel. The Palestinian-Israeli conflict began in 1967 when Israel attacked a number of countries such as Syrua, Jordan and Egypt and succeeded in seizing Sinai and Jerusalem, the West Bank, Golan (Syria) and Gaza Strip. This is what happened: Civil War. 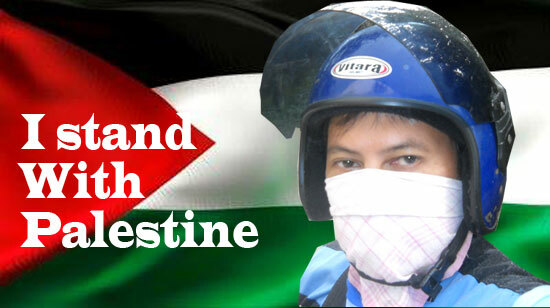 Until now internal peace in Palestine was still a suit achieved. Plus there is disagreement about the future of Palestine and its relationship with Israel among the factions in Palestine itself. The unequal principles and attitudes of the Fatah and Hamas Faction in dealing with conflict with Israel cause divisions and uncertainties about the future of Palestine. The Hamas faction wants to eliminate Israel while the Fatah Faction chooses to compromise with Israel so that the supply of needs for Palestinian people is fulfilled even though Hamas wins the 2005 elections and controls the Gaza Strip. Strangely, the victory of Hamas in the elections was not recognized. This is obviously ridiculous. The Fatah and Hamas conflict is increasingly fierce after the death of the longtime PLO leader Yasser Arafat who died on November 11, 2004 and peaked in 2005. So if the count of the Palestinian conflict is calculated, the Zionist Israel has been going on for 50 years. What is interesting that I want to comment on is the statement of Israeli Prime Minister Benjamin Netanyahu in English which, if translated into Indonesian, presumably means "If the Arabs lay a weapon, violence will no longer exist, but if the Jews are told to lay down their weapons, there will be no again the Israelite "
This is a statement that doesn't make any sense from any side. The Palestinians fought because they defended their right to independence on their own land (mother land) from the Zionist occupation of Israel. The ridiculous act of Israel which prohibits Palestinians from entering the Al-Aqsa Mosque is an act of defiance and open violation of the UN declaration of freedom of worship in accordance with belief. Why is the world body like the United Nations (UN) slow to respond to the actions of the less commendable Israelites? It is no secret what the Israelites did in their war with the Palestinians always supported by America. Even any resolution made by the United Nations that harasses Israel will always be in the VETO by America. "So what should we do for an independent Palestinian people? Since the election of the New President of the United States, which is now held by Donald Trump, hopes for the return of Palestinians and Israelis sit side by side discussing the future of their feuds as if back on fire. Hope remains a hope that has a degree of necessity. Maybe Israel should be bombed to disappear from the face of the Earth. Thus Israel has no power whatsoever to continue its grip on Palestinians like Japan which was bombarded by the Allies and dropped by the Atomic Bomb until the Japanese surrender, and the Indonesian nation can be independent. Will the settlement of the Palestinian and Israeli conflict be able to adopt a dispute resolution when Indonesia is fighting the Japanese occupation? The question is: Who wants (to bomb Israel)? Who wants to be brave.